Do you remember Petticoat Junction? I do and this train exhibit reminded me of the song of with the words “rolling down the track”. 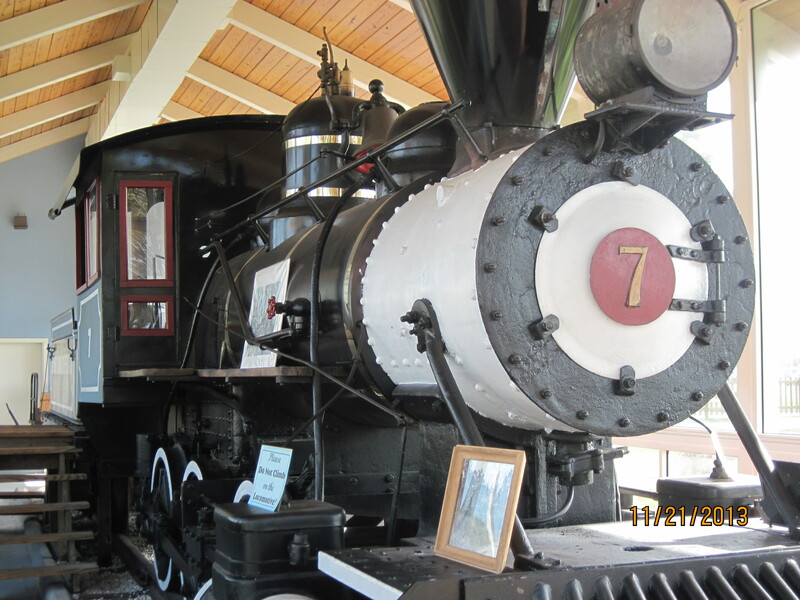 This logging train once carried cypress logs from a mill to their destination and you can view the train and many of the tools that go with it at the Beaches Museum at Jacksonville Beach. Keep an eye on my column Wrenching Tales in Farm World and an in depth story will be coming soon. If you find yourself in Jacksonville Beach Florida and want to learn a bit about the railroad and the impact of Henry Flaggler, this museum is set with displays that focus on the Mayport Florida East Coast Rail Road; FEC that was founded by Henry Flagler. The museum has six buildings, the central museum, the old post office, and the depot and train enclosure. The museum is located at 381 Beach Boulevard, Jacksonville Beach, FL 32250. Call 904-241-5657 or log onto http://beachesmuseum.org/home.php for more information.